You’ve worked hard to be successful in college, and now it’s time to hit the ground running. Perhaps you followed our tips on landing a job after college, and had a successful hunt. Transitioning from the educational to the professional world can bring many challenges and rewards, which is why it’s key to prepare as well as you can. Though there are many elements of your first post-college job that will be learned “on the job”, the following tips will help you ensure a successful work experience. Read on to find out how to make the most of your first job out of college! Just because you’re done with your classes doesn’t mean the learning is over! Keeping an open mind and showing your new boss that you’re enthusiastic about developing your skills is critical when starting a new job. The ability to adapt to new environments and the willingness to take on new challenges goes a long way in creating a successful career. You may consider joining an online course on platforms such as edX, Skillshare, Coursera or Lynda.com. Again, the most important factor here is to be motivated about learning the skills necessary on the job—your new boss will take note! Perhaps you’re used to showing up to math class in a sweatshirt and pajamas, but that’s unlikely to fly at your new profession. Taking the time to look professional can make a big impact on the first impression your new coworkers and bosses have of you. Familiarize yourself with business casual apparel and pick up some clothes that fit well. Your professional apparel doesn’t have to be expensive—just showing you put some care into your appearance is often enough. If your new workplace has specific dress requirements, be sure to follow them. Not only will you look the part, but you might also feel more confident when you dress professionally. Connecting with your coworkers can play an important role in creating a positive work environment and even in advancing your career. Former coworkers are often a source of positive referrals for future professional opportunities, and they can help you out as you get started. Don’t be afraid to reach out to coworkers to ask for assistance but be sure show them that you’re committed to doing your best to become self-sufficient. Sites like LinkedIn can help you build your professional network, and learning the names and interests of those you interact with on a daily basis can help you weave together a better work experience. Even if you’re new to the job, friendliness can make you a favorite employee! 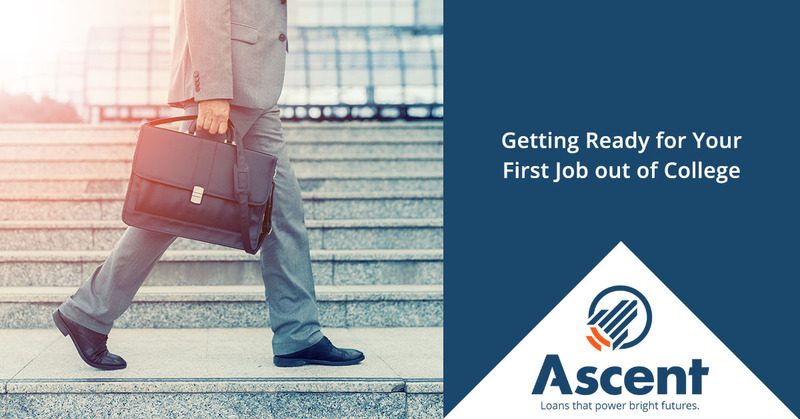 There’s no doubt that starting a new job can feel daunting—especially if it’s your first job out of college. Even if it feels overwhelming at first, try to stay positive. Long term goals are achieved one step at a time, so set small, achievable steps to achieve each day, week and month of your new profession. It can be as small as “I’m going to learn something new about my job today” or “I’m going to remember my coworker’s names and favorite hobbies this week”. Your long-term goals may relate to getting a promotion or increasing your earning potential. Did you pick this new job in order to pay off your debts? If so, remember that this may just be a stepping stone for you, and your future potential is made of the small steps you take every day. We are constantly learning more about where we would like our professional lives to lead us, and that includes learning what we don’t want. As Brianna mentions in the aforementioned post, her first job out of college as a paralegal taught her the invaluable lesson that she didn’t want to become a lawyer. The right perspective can help you stay resilient in the face of challenges, so you can build the future you’d like to have. When you’re just starting out at the entry level, it’s important to watch out for inflated expectations. The fact is that everyone has to pay their dues and “cut their teeth” when it comes to learning new skills. Often, new hires can get discouraged when the work they are asked to do doesn’t line up with their expectations of the job. You have to keep in mind that this may just be a stepping stone or a trial period that you have to go through before taking on your desired tasks. For example, an aspiring zoologist may be initially asked to fill out paperwork, when they’d rather be taking care of the animals. However, this trial period of paperwork may be a necessary step toward feeding the chimps! 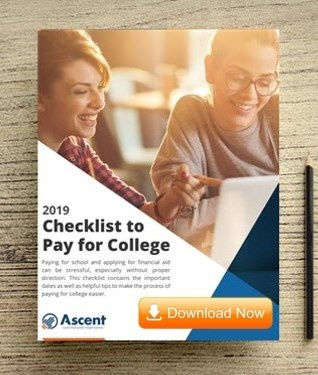 No matter what your professional goals are, Ascent is dedicated to providing students and graduates alike with the information they need to succeed. Check back with our Tips & Advice Blog often to get the latest in financial literacy news! Next Dropping classes: To W or not to W?